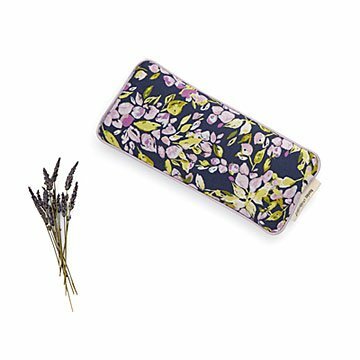 Place this pretty pillow over tired eyes for rejuvenating coolness and lavender scent. This small but mighty pillow has the power to soothe your jangled nerves and melt away the tensions of the day. Its pretty, 100% cotton exterior is filled with locally sourced barley and lavender, enabling it to achieve those goals. Place this pretty pillow over tired eyes for rejuvenating coolness and lavender scent. (Pop it into the fridge for a while beforehand: heavenly!) With a little of this pillow’s pamper power at the end of a hard-working day, you’ll be ready to face the world again in no time. Made in Australia. This product is perfect for meditation after a yoga session. It smells divine and is calming. It was a gift and she loved it. Said it smelled wonderful.